Dogara: The leadership imposed on the National Assembly has never worked and will never work. Saraki: The independence of the legislature is non-negotiable. The legislators should be given the freedom to chose their leaders without outside interference. “Oshiomhole claims he knows everything, he does not want to consult the elders of the party” Bala Kao’je ex-minister “ The south-east should definitely be in the equation for the Senate presidency.” Chris Ngige minister for labour” APC must roll out a fair zoning arrangement” Yekini Nabena Deputy National Publicity Secretary. The struggle for who controls the leadership of the ninth National Assembly rages on. There are ongoing intellectual punches and strong arguments on the criteria for the leadership of the ninth National Assembly. The is the battles of zoning versus appointment, and competence versus seniority, in the course of choosing the leadership of the ninth National Assembly. Elders within the ruling party have voiced their disapproval of the decision by some prominent leaders of the party on the zoning arrangement. Senator Chris Ngige the minister for labour and productivity fights for the zoning of the president of the Senate to the south-east. In 2015 the All Progressive Congress APC claimed that the south-east region was not nominated for the office of Senate President and deputy senate president because it had no ranking lawmakers from the region. “We have those that are ranking now. We have senator Ben Uwajimogu. He is now a two-term senator. He is coming back from the ruling party. We also have Dr Orji Uzor Kalu. He was a federal assembly legislator during the military regime. It counted because it was a National Assembly, so he had got some ranking. Okorocha’s case will be determined before then. The south-east should definitely be in the equation, I mean the proportion of Senate presidency.” Senator Chris Ngige. Ex Sports Minister Bala Kao’je APC chieftain. « I advised that we should zone National Assembly positions as quickly as possible to regions. If you zoned the Senate presidency to the northeast, for example. There is nothing wrong in nominating three people from the region and forwarding their names to the zone for them to select one person. Yekinni Nabena Deputy Nationa Publicity Secretary APC “Since Saraki lost his bid to return to the Senate and control of his home state, Kwara he has devised a plan to ensure that he influences the choice of the incoming National Assembly leadership. 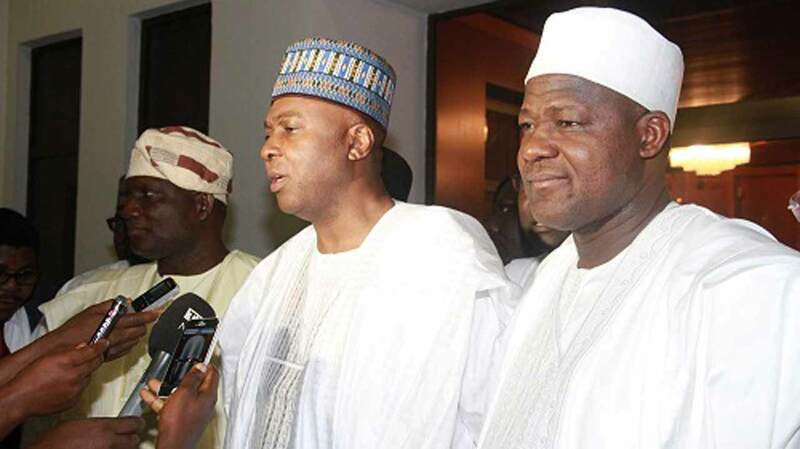 This is Saraki last-ditch effort to remain relevant politically. It is therefore important that the APC leadership meet and urgently roll out a fair zoning arrangement to ensure that we produce our preferred candidates for all leadership positions in the National Assembly. 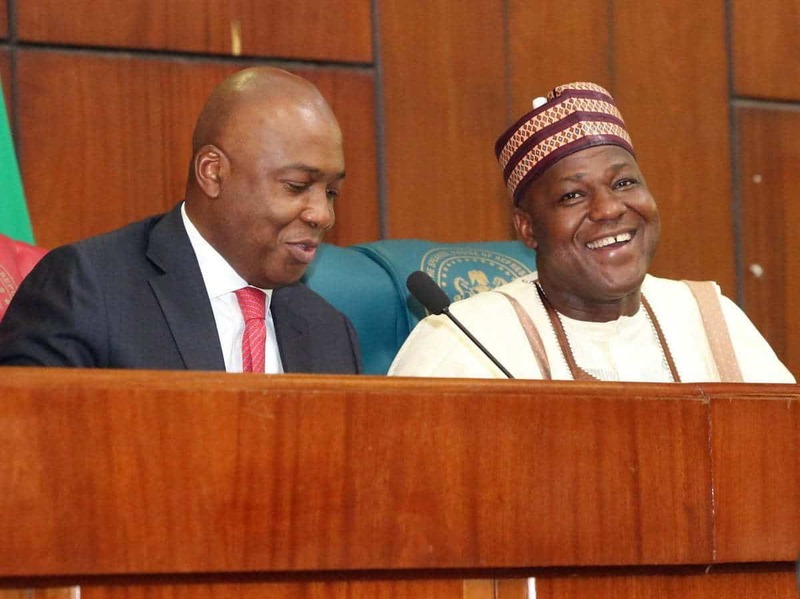 The incumbent speaker of the House of Representatives Rt Hon Yakubu Dogara lent his voice to the ongoing debate of the ninth National Assembly leadership. “I will advise members to actually look out for those who have thrown themselves into the race to see who it is that will aggregate their aspirations better and then will be able to surpass the record of the eight National Assembly. The least we could afford in the National Assembly is is a crisis on account of the leadership selection process.